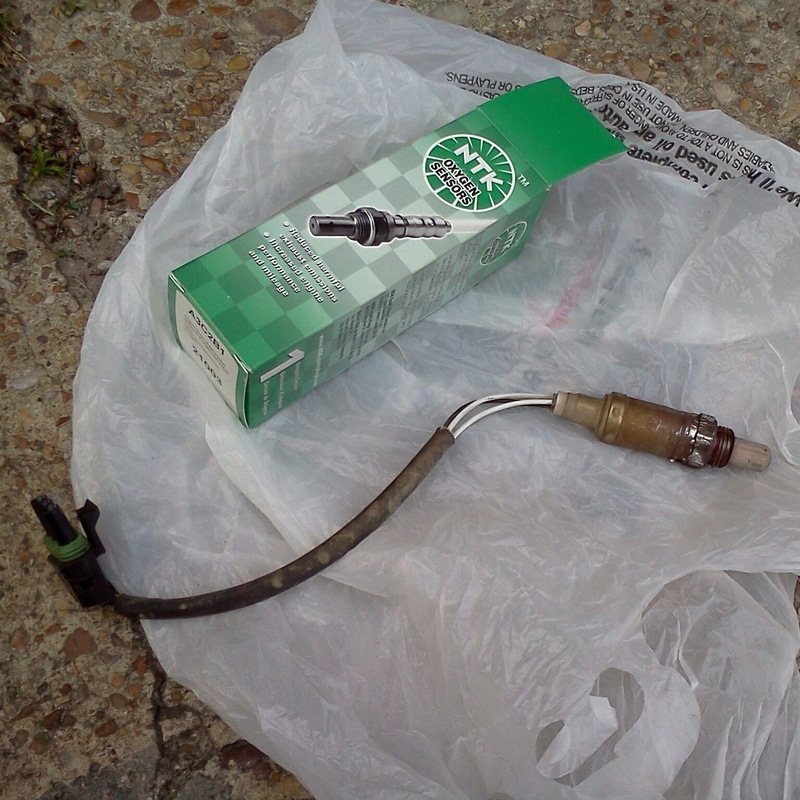 Some of you already know that I replaced the oxygen sensor on my van earlier today. At first I didn’t think I would get the old one out. A piece of cake is what I thought, especially since the van was driven which would heat the part enough….so I thought. Even with vise grips it would not budge. I almost gave up because I didn’t want to damage the old sensor in case I couldn’t get it out. So I go old school and apply heat directly to the connection with a propane tank….put the grips back on it, gave it a twist, and bingo! I just started thanking God right away because He gave me all that I needed to get it loose….patience and time to think it through without getting flustered. After the new one was in place, I didn’t wait to start it up…I wanted to see if it was going to be any different during starting and idling. So I fire it up and it didn’t start right away, but it didn’t drag either. I could tell right away….seconds after it was running, that it had made a difference. It idled quietly, but when I placed it into drive it was rough, as if nothing had changed. So I take it out for a spin. Once I hit the road and accelerate, it had more power. It didn’t drag during acceleration and I was really happy about that. I decide to take it on the interstate and on the entrance ramp it had more get up and go. I was able to change lanes faster. Now I’ll have to be careful not to drive it like a race car or I won’t be saving any fuel still. We’ll see what happens this week. Oh yeah…I also bought a grease gun and lubed the front end today…that made a big difference too. Yeah…some of you know about that too.